Again terminated club year with the most difficult race, "This year's Worst Picture". And once again it had signed the pleasure to be the sole judge. It came in quite a few photos to the contest, and as usual there were a number of which could be directly disqualified because they were just too good. There were even a couple of three images that basically had platsat in this year's contest Rifo. Here I think of the two words that came last in the race, both very blurry but in a very pleasant way. Two images that basically built on the same theme, one in green, the other in red, but both amazing nice pictures. It's not good enough in this context. Further up the list came a couple of images that basically was pretty bad but the longer they watched pictures, the better was the. In other words, it pays to make images that are not entirely obvious, if the judge needs to ponder and perhaps use their imagination as the picture will rise through the ranks and thus condemned Competition. Now we are approaching the upper half and then it's about "stray bullets". Photos where the subject is pleased move away just when the photographer decides to press the shutter button. Here we see examples of what you might think is a dog and another picture shows something that the judge regarded as a fuzzy cat hidden in a shaky furniture. On the way down to the top spot, we see images depicting everything from Christmas trees and skull. It is common for these images was that everyone was pretty bad, some heavily underexposed, second substantially overexposed. Blurry and incorrectly cropped. Everything under the autocratic judge's opinion of course. Finally, presented the winner's picture, Thus, the worst picture. Let me describe the. First, one must understand that the judge obviously had turned the picture upside down during her assessment. That this was done because it was the best so, but still very poor. Now, the picture is now described upright. A large empty space occupies three quarters of the image area. This surface is slightly yellowish, So where uncomfortable bleaching. 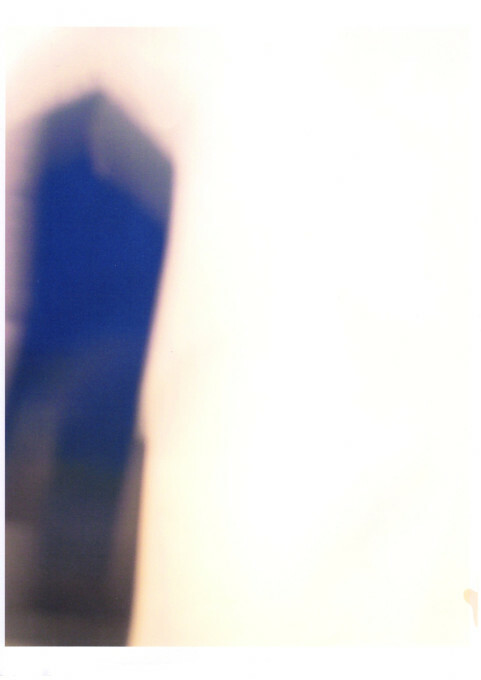 The subject is the left edge of the image and is in total blur. Not just wrong-focused but also camera shake. The design is in turn composed of two fields, lower in a brownish ton, the top in a blue tone. No one except the photographer can even with good will to say what the image is. Now it is you do not always need to be able to see what an image represents (rather the opposite) but then maybe it will have some form of artistic radiance, and even that was missing in this picture. In truth, a completely useless image and a worthy winner. The credit for the creation of the image goes to the club's renowned artist and printmaker, Carl-Johan Blomqvist. Pictures to learn from and be inspired by.